And so, the preparation is about us, the restoration is about us. He has been patiently waiting for the desire of His heart, to get ready. What is it that precedes Jesus triumphant return to the earth, when He shall come again in glory upon the clouds, and when every eye shall see Him? Is it only for His Kingdom that He shall return? Rev 19:7 tells us “Let us rejoice and be glad and give him glory! For the wedding of the Lamb has come, and his bride has made herself ready.” It is not only for the Kingdom but for His Bride that He shall return, for He is the Bridegroom King! It seems to us, that so much depends upon this unavoidable truth, that the Bride must make herself ready. It is not about our cleverness, or how busy we are doing things for Him, or how polished our rhetoric, or anything of earthly nature. It is about divine nature, the glory of God transforming us, changing us. As Paul writes in Ephesians “until we all reach unity in the faith and in the knowledge of the Son of God and become mature, attaining to the whole measure of the fullness of Christ.” 4:13. This verse starts with “until”, which implies that we do not begin from this position but it is something that we attain to. Attaining to the whole measure of the fullness of Christ. That’s because the Bride of Jesus must be the exact fullness of who He is, for He cannot unite with anything other than who He is. But this preparation, this maturing, is not something that either takes place in isolation, or in Heaven as some may suggest, no, this transformation is something that takes place upon the earth, and in the context of loving relationship with each other, and between Jew and Gentile, where everyone is empowered and able to be who God created them to be. When Jesus returns, it is because the Bride has made herself ready, and for the Bride to make herself ready she must change. She must begin to live like a Bride, love like a Bride, sing like a Bride and pray like a Bride. Here is the paradox: The Bride cannot get ready on her own The Bride needs the Bridegroom to assist her! By calling Jesus to come, the church is positioning itself in a very special place that is reserved for the Bride. By calling Jesus to come, the Bride is adopting the necessary heart, mind and spirit necessary for her preparation. We cannot be passive about this, but this is something of the utmost importance. This is our vision, that in regions and nations the Bride will gather together in times of worship and prayer, to pour out her heart in purity of longing, repentance and proclamation, and ask Jesus to Come. We believe there is an outpouring of the Holy Spirit that the church has not yet experienced, in fact it is one that is reserved only for the Bride. 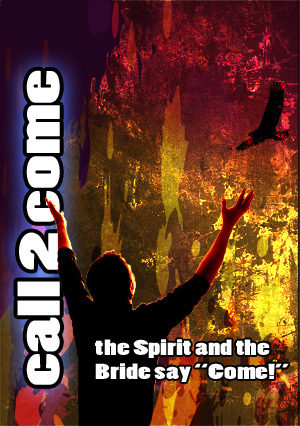 It will not be released by asking for more of the Holy Spirit, or for another outpouring, or revival. No, this outpouring of the Holy Spirit to come, is one that is sent by the Bridegroom in advance of His coming, to help the Bride get ready. The Bridegroom will release the Counsellor, when He knows that it is the Bride who is asking, and that her desire is only for Him.